OnePlus 6T McLaren Edition: worth a buy? OnePlus has slowly but surely crawled its way into the mainstream. What was once a fledgling company, making grand promises to "kill flagships" with its aggressively-priced product now has an actual stateside distribution deal with T-Mobile. Not too shabby. And, while OnePlus' prices have grown a bit from the $300 that it asked for the very first OnePlus One, it's still considered a bargain offer, especially in today's climate of $800+ flagships. The company's latest phone — the OnePlus 6T — starts at $550 for a configuration of 128 GB storage and 6 GB RAM. It tops out at $629 for 256 GB of storage and 8 GB of RAM, which is fair enough. 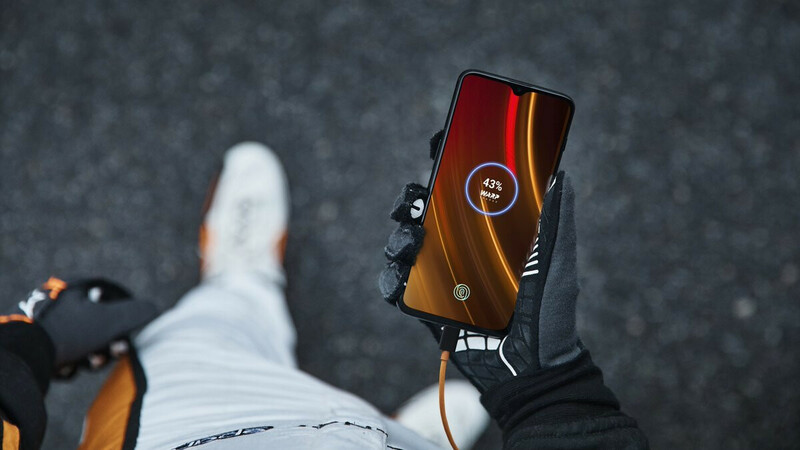 Today, however, the manufacturer finally unveiled details about its upcoming special edition device — the OnePlus 6T McLaren Edition. Finished in a special orange color, this phone will come with a jaw-dropping 10 GB of RAM and cost $699. Other than that... there's no difference to your regular 6T. So, we wonder — is it worth going all out for the special edition? OnePlus' primary appeal is that it is so aggressively priced. It still cuts corners ever so slightly here and there, but that is easily forgiven, considering how much bang for the buck these phones offer. Now, the McLaren does have 10 GB of RAM, but let's be real — Android doesn't even know what to do with that amount of memory. At this point, it sounds like a spec you'd want for bragging rights, instead of actual functionality. It's upgraded Warp Charge will get you "a day's battery" in 20 minutes, but that's just a bit faster than the already impressive 30 minutes of the original OnePlus 6T. All that said, do you think it's worth splurging $700 for a McLaren Edition OnePlus 6T or do you feel you'd do well with one of the cheaper variants? Is the OnePlus 6T McLaren Edition worth buying? One plus has definitely been a heavy hitter this year. I can see them grow exponentially in the upcoming years. Ehhh... It's priced at $929 in Canada. The top specced OnePlus 6 is going for $709 right now. I get that the 6t does have some improvements over the 6, but I'm not sure I want to pay a $200+ premium for a device that is missing some features from the older model. I will gladly get this over the Mate 20 Pro if it's available in my country.